As a current member of the council, Alain highlights how important it is to be committed to the chamber in order to increase it’s reputation. For more information on the Council nominations process and timeline, please follow this link. If you’re interested but want to know more about being a Council member, or standing for President, contact Glenn for an informal discussion. The first event I came to 7 years ago was an EU Committee breakfast in a hotel room when I first arrived in Brussels. I attended based on recommendations from other organisations because of the high quality and the great environment in which these events are held. Becoming a council member wasn’t planned and is rather time-consuming, but it is an interesting place to discuss ideas and be surrounded by other like-minded organisations. I have really enjoyed the work done so far in my 18 months on the council and being a part of the progress and journey of the British Chamber. The more involved in the chamber you become, the more you can shape the discussions you have, the easier it becomes to invite the people that you want to speak to. Of course the chamber is a neutral platform and there is no lobbying at these events, but having that unique environment to which you can invite influential policy makers is important for me as a member. 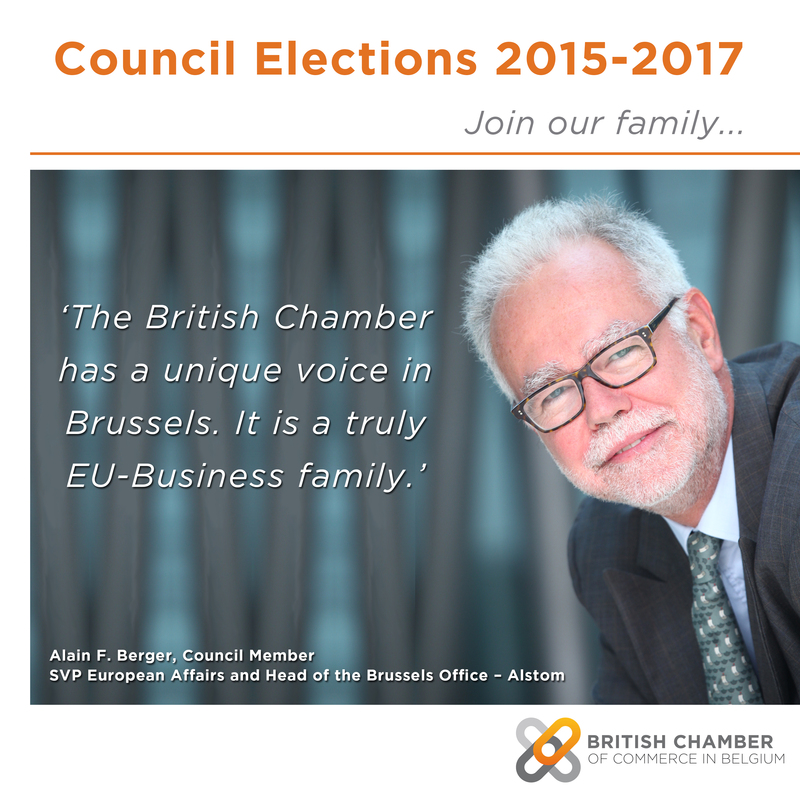 The British Chamber has a unique voice in Brussels. When compared to other chambers – with some focusing only on EU and others on national and domestic policy – the British Chamber is a truly EU-Business family. Combining this uniqueness with the evolving membership of the chamber requires everyone to fulfill their part to ensure we keep at the level of excellence where we currently find ourselves.